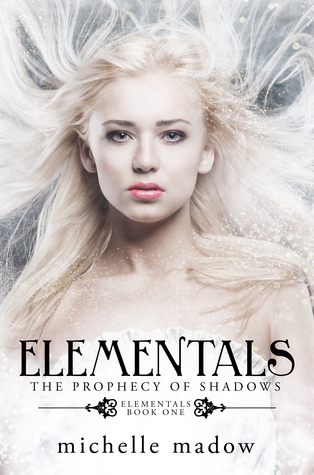 Synopsis via Goodreads: Filled with magic, thrilling adventure, and sweet romance, Elementals is the first in a new series that fans of Percy Jackson and The Secret Circle will love! This book had SO MUCH potential to be a good book! Magic, Greek mythology, an ancient prophecy…it was looking like it could have been an action-packed read. Sadly, the romance ruined it for me. Right from the jump, Nicole is instantly drawn to Blake. She hasn’t even said one word to him and she is already catching feelings. Throughout the book, Nicole is constantly reminding herself that Blake is unavailable and that she should stop obsessing over him. But she doesn’t listen because ‘the heart wants what the heart wants’ and she slowly starts to give into her desires. Not only was there that ‘instant’ connection, there was also a love triangle as Blake is not yet ready to end his relationship with Danielle. The romance does overpower the plot, especially towards the end where all the action starts to happen. If sh!t is hitting the fan, WORRY about making it out alive first, not making out in the dark! The ending of this book gave me LOTS of Percy Jackson vibes. I know that it states in the synopsis that ‘fans of Percy Jackson will love’ this book, but the similarities between the two books is just a little too much and I hope that in the second book the story diverts from the Percy Jackson plotline and eventually becomes it own story with its own unique twists. ♥ Nicole: There were times when I liked Nicole. She’s the new girl, in a new town and she just found out that she is a witch with powers. She handled the news pretty well (a little too well, in my opinion) and shows that she can stand on her own. She’s very selfless and puts the needs of others above her own. But then there were times where I was so annoyed with her and Blake. GIRL, he is taken! Plus you DON’T need him. You can be a BADASS on your OWN! ♥ Kate & Chris: I am discussing these two characters together because we don’t really get to know much about them in this book. Kate is extremely smart and cautious, while Chris is your typical all-around funny guy who loves to make people laugh. I think it’s pretty obvious that they are going to eventually be a couple, but I want to learn more about them as individuals before they join forces to become ‘one’. ♥ Blake: Oh gosh, NO! Blake is said to be the ‘bad boy’ in the synopsis, but I don’t think he is one. I think he makes reckless decisions and doesn’t think before he acts, but his actions are driven by his emotions and what he feels in that moment. I don’t like him, I think he’s a TOOL and that’s THAT! ♥ Danielle: Probably my favorite character, but that’s because she’s said to be ‘evil’. I think that there’s more to her than meets the eye and IF I do decide to continue this series, I am interested to see how her character will affect the groups dynamic, especially after she finds out what Blake has been up to! Besides my issues with the romance, another issue I had with the writing was with the way new information was revealed throughout the book. Every chapter, we learned something new about the prophecy and there was not much time to actually digest that information. I wish some things were dragged out a little bit in order to build more suspense. The plot was fairly predictable since we are given so much information early on and there was no SHOCK VALUE for me. Overall, I am disappointed with this book. It was not what I expecting and I’m SO IRRITATED!